someone who will represent only you, not a party or donors. 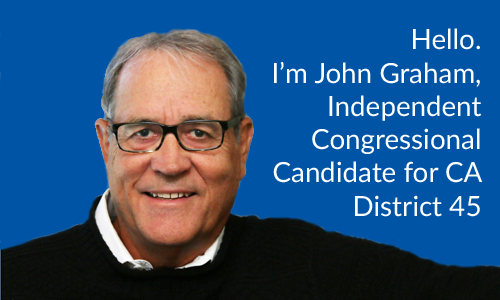 As an Independent candidate I am not controlled by political party money or pressure. I agree with our first President, George Washington, that political parties are both “vengeful” and “despotic” tribes. Also, I accept no donations, so I am not influenced by special interest donors of any kind. After nine years as a Navy SEAL, I understand the military. I have worked as a corporate analyst, consultant, and business professor (both at USC and UCI) for the last three decades. So, I understand how business works and how important it is to our country and county. As the current Director of the UCI Center for Global Leadership, I understand the complexities of the world we live in. Finally, Mary and I have raised our family here as your neighbors in Irvine for thirty-five years. So I understand the local issues, including the immense value of excellent public education. My job as your Congressman will be to maximize your security, prosperity, and freedom. Please visit the pages in the menu above for details on these important issues. Some of my views may sound Republican, some Democratic. They are neither. They are based on the evidence I report on each topic. Your feedback on these issues, particularly if you disagree, will begin the crucial dialogue you and I must have so that I can best represent you in Washington, DC. On June 5th the four Democrats will split most of their 30%. 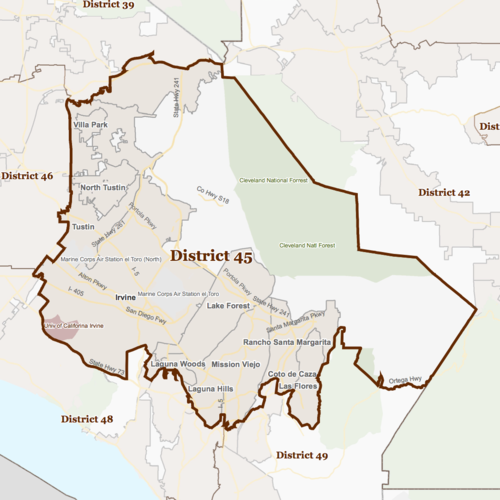 However, many Democrats will recall that I won the Democratic primary three times in the last decade, and represented them against Christopher Cox (R) in this District. Meanwhile, Republicans are very unhappy with Mimi Walter’s (R) 2016 tax reform vote that eliminates state and local tax deductions. They won’t vote for her or for a Democrat. That leaves a wide gap for an Independent choice.